I’ve been married almost twelve and a half years. That’s significant for two reasons. 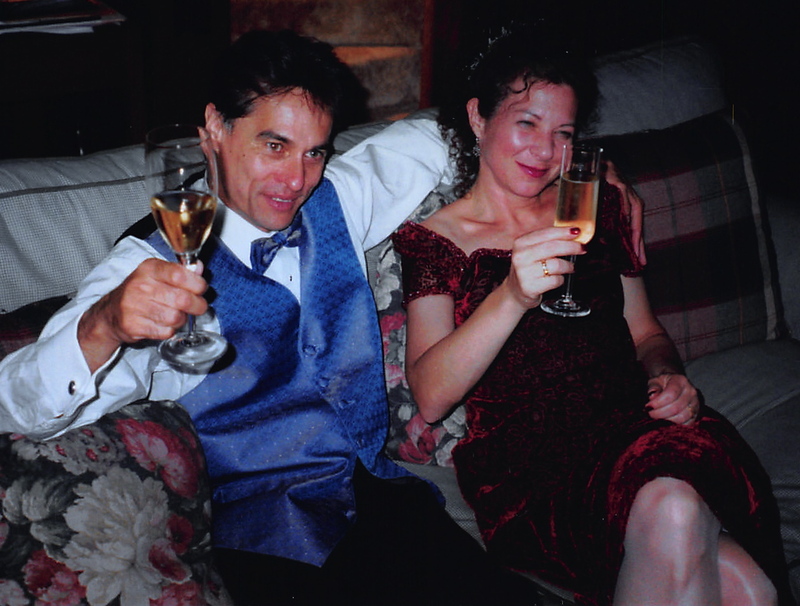 My husband is Dutch and in Holland they celebrate twelve and a half year anniversaries – half of 25 years. And, I didn’t get married ’til I was 48, so this may be historic. It was my Virgo pickiness. Truth is, there are times I’d like to act on what my Aunt told me on my wedding day. “Just don’t be surprised, Riva, when you have a day where he’s standing in front of the window and you have to stop yourself from saying, “Just back up a little honey…” I’ve told him that story; it makes him nervous, and makes him laugh. But most often my love, our love, brings up memories of a documentary I saw on PBS while we were engaged. I watched it alone, he was in Holland. It was about couples who’d been married more than 25 years. I remember at the time, even though we were engaged, I thought, ‘Really? Can you really be married more than 25 years and still be happy? Have something to say? Not be bored? How’s that possible? But there they sat, most couples hand in hand, grey-haired, glasses slightly askew, wrinkled, grinning, “I couldn’t live without her,” he’d say. Usually the man said it first; men are such mushes at that age. She’d poke him in the ribs. And smile. So Happy Valentine’s day honey. We still do find something to say, most days. And when we don’t, that’s okay too. I’ve come to know that’s part of the contentment of being known and seen, accepted and loved. Amazing. And happy valentine’s day to everyone out there, married, engaged, partnered or single. I once read the way to get love is to give it away. So true. So I give it away every day twelve and a half years later. Of course I also keep the window open.